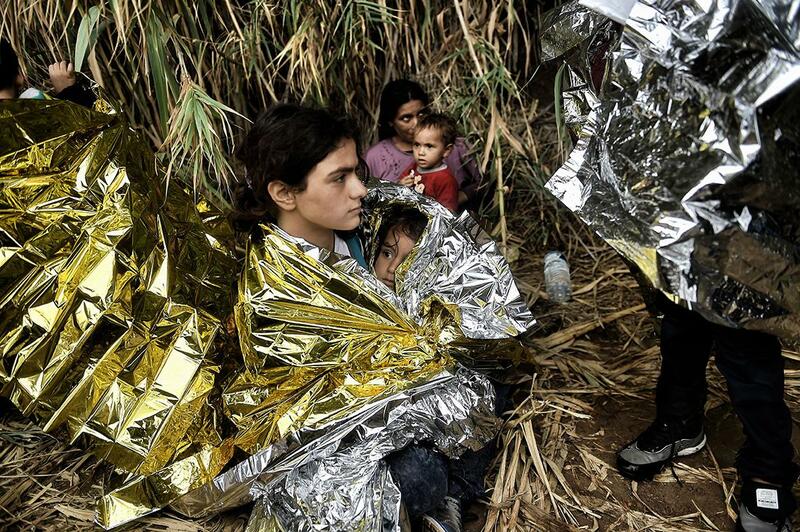 Syrian refugees, Paris fashion shows, and the supermoon in this week’s best images (PHOTOS). Syrian refugees are given life blankets upon arriving on the Greek island of Lesbos after crossing the Aegean Sea from Turkey on Sept. 28, 2015. 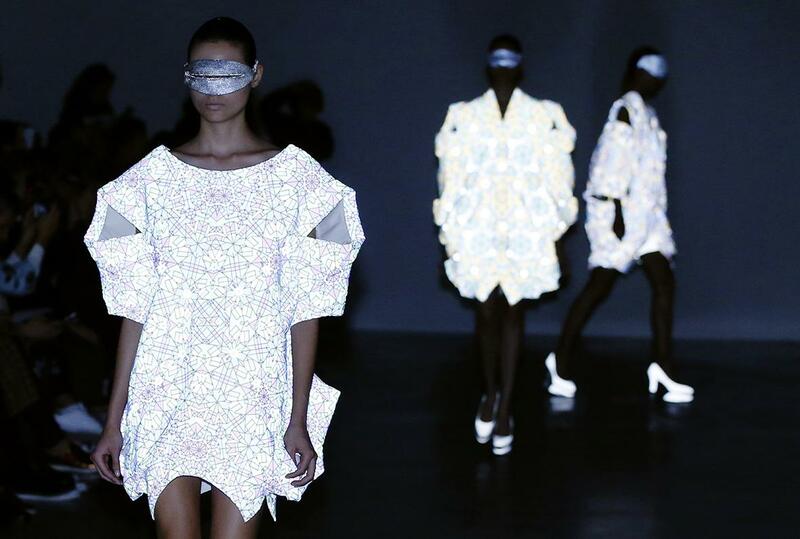 Models wear garments by Anrealage during the 2016 spring/summer ready-to-wear collection fashion show on Sept. 29, 2015, in Paris. The Pearly Queen of Smithfield Market arrives at the Church of St. Mary-le-Bow to attend the service for the 17th Pearly Kings and Queens Harvest Festival on Sept. 27, 2015, in London. 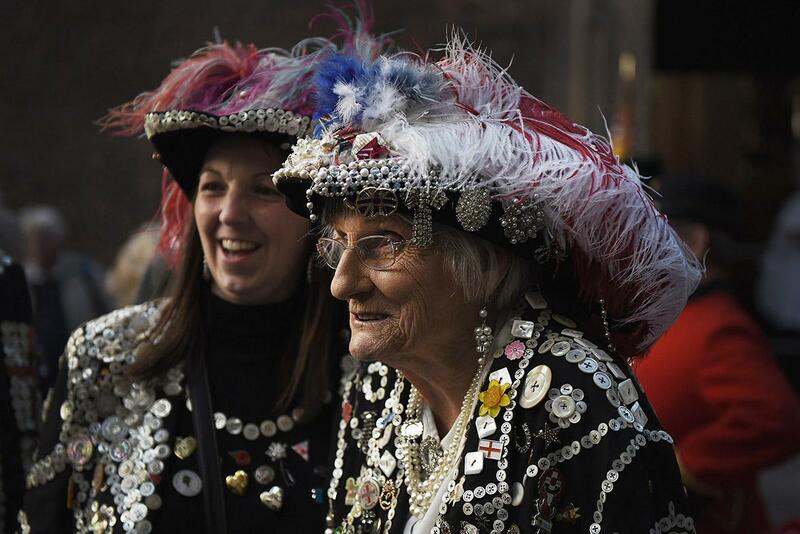 The tradition of the Pearly Kings and Queens dates back to 1875, and today 30 London families keep the tradition alive, raising money for charities across the city and attending London’s events in their colorful handmade costumes. 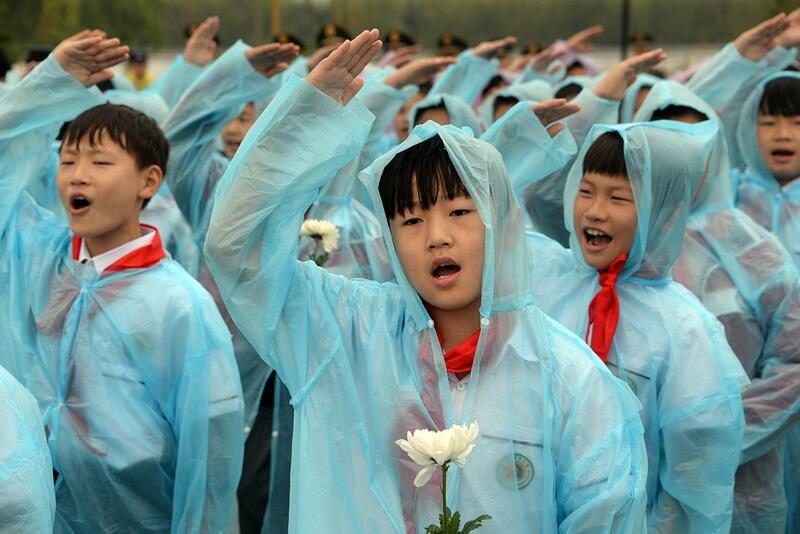 Students attend a memorial ceremony commemorating Martyrs’ Memorial Day on Sept. 30, 2015 in Bozhou, China. The public holiday was first introduced by the Chinese government last year to remember those killed at war. 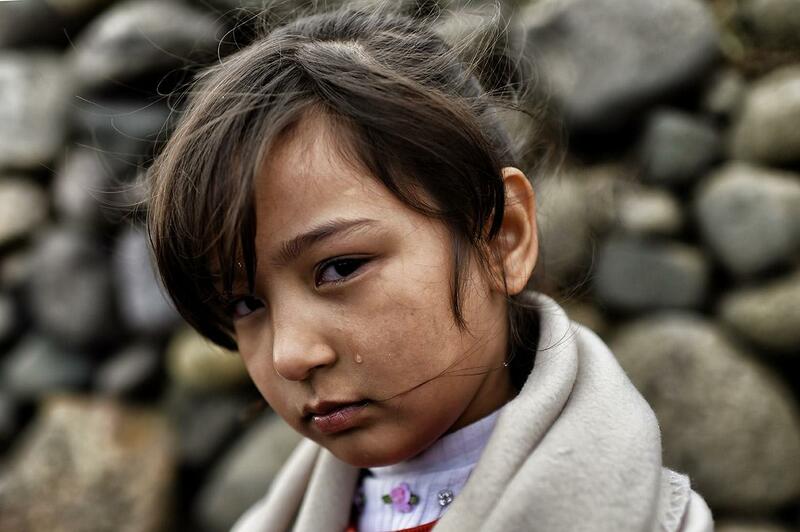 An Afghan girl cries upon her arrival with other refugees and migrants to the Greek island of Lesbos after crossing the Aegean Sea from Turkey on Sept. 29, 2015. 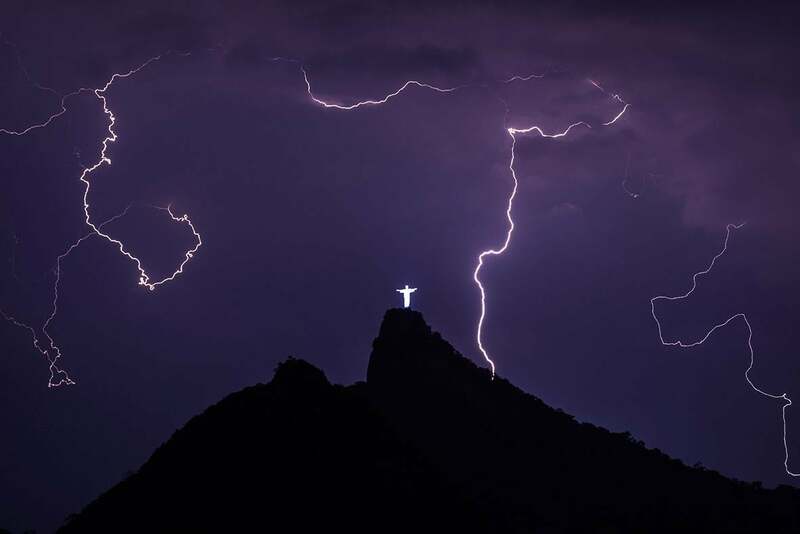 Lightning flashes over the statue of Christ the Redeemer in Rio de Janeiro on Sept. 27, 2015. 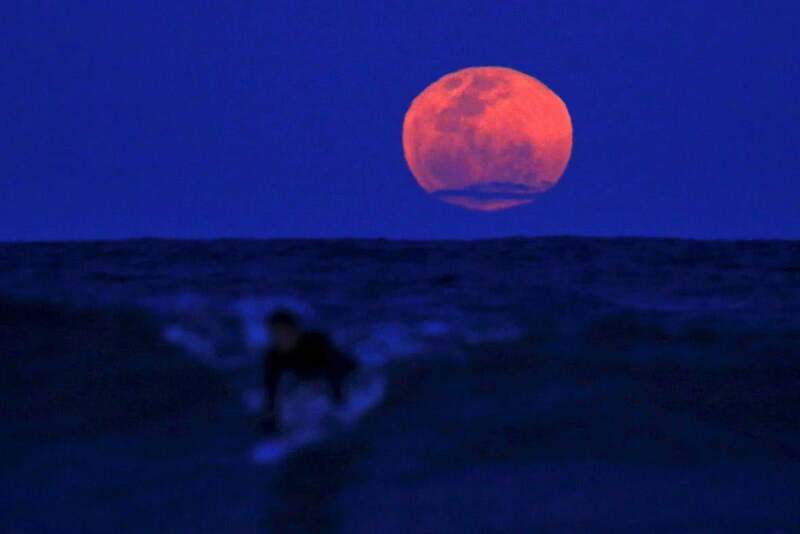 A surfer catches a wave on his board as a supermoon rises off Manly Beach in Sydney on Sept. 28, 2015. 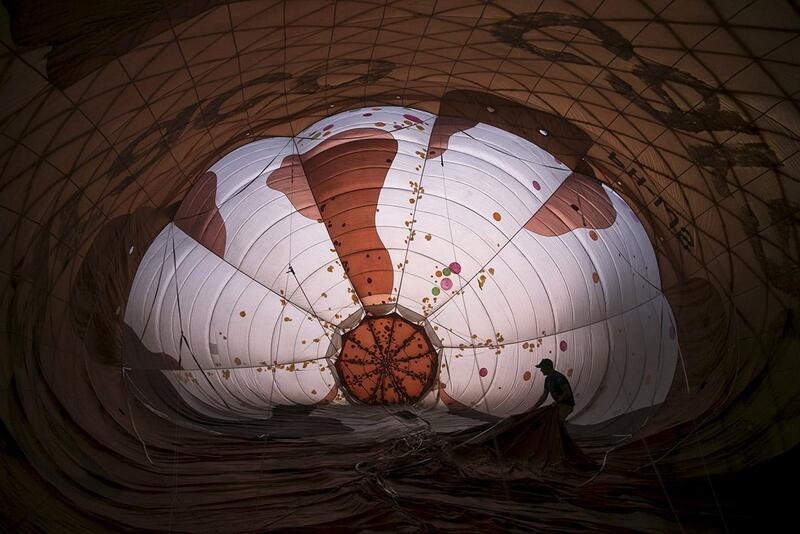 A man prepares a hot air balloon for flight during an international hot air balloon festival at Maayan Harod National park in northern Israel on Sept. 30, 2015. A baby manatee plays against the glass in one of its very first public appearances on Oct. 1, 2015, in Genoa, Italy. 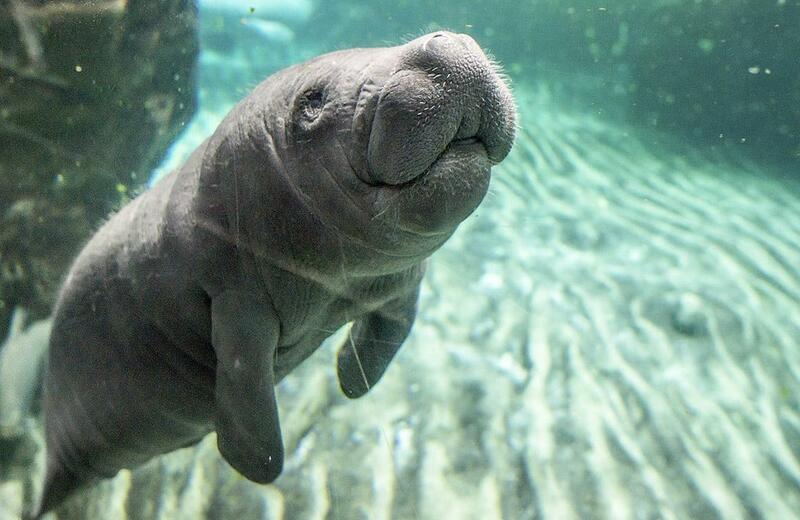 The manatee is the only one in Italy, and only 10 zoos in Europe have these herbivorous marine mammals.